"Hi, my name is Ryann Slauson and I was a member of the 2004 Boston Crusaders front ensemble. 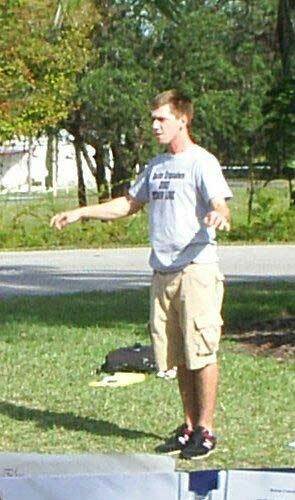 This is a picture of Stu Whitmore, this year's drum major, at the audition camp in Clearwater, Fla. I met so many great people like Stu this past summer. I look forward to another awesome season with the Boston family."